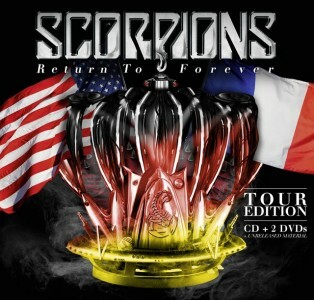 After first releasing Return To Forever as a 12 track album in March 2015 followed by a re-release of the album with seven bonus tracks in September 2015, the Scorpions are releasing the album once again but this time in a “Tour Edition” format on April 22, 2016. 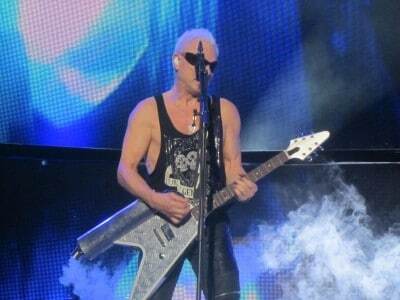 In other words, the Scorpions are adding some additional goodies in the form of two concert DVDs to the twelve regular and seven bonus tracks that have already been released. The DVDs include 3 ½ hours of live material with two Scorpions gigs in Brooklyn, New York (USA) & Hellfest (France), two hours of interview material with the band in English and German, four music and lyric videos plus a brand new “On The Road in America” documentary video (filmed between Los Angeles, Santa Barbara & Las Vegas in the USA).